A Corporate Pension is a tax-efficient defined contribution plan to provide employee benefits on retirement, leaving service, death and early retirement due to disablement. It is typically utilised as a key tool for retaining talent, as well as allowing employees to save for their retirement at corporate rates. With flexibility for both employees and employers to contribute, vesting schedules to be implemented, a wide range of investment options, and the ability to tier contributions for top performers, a corporate pension can be an excellent tool to reduce your turnover costs and increase retention. Australian Expatriate Group works with companies across a range of industries and sizes to implement an appropriate corporate pension that matches your goals. Whether you’re looking to provide CPF-equivalent contributions for your expat employees, provide greater benefits to your senior staff members, find a more tax-efficient manner to distribute bonuses or simply to boost your staff retention, speak to us and find out how we can assist you today. Staff Retention – Retain your top talent by providing bonus distributions through your corporate pension. Retirement Affordability – With retirement adequacy such a concern for most employees, offering a pension can attract and retain. CPF-Equivalent for Expats – Many expats are left without a method to save for retirement. This can be an ideal solution. 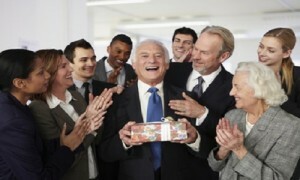 Corporate Rates – A corporate pension allows your employees to save for retirement at much lower costs. Reward Loyalty – Providing an incentive payment with a vesting schedule can be an excellent tool to reward loyal and top-performing staff. Tax Efficiencies – The corporate pension is a tax-effective retirement vehicle for employers. A2Z Pte Ltd currently employs 80 staff in Singapore in the technology industry. They are currently experiencing a staff turnover rate of 17% each year and wish to explore strategies to improve their staff retention rates. The company has demonstrated high earnings growth and is likely to continue to grow in the future. However, it is becoming increasingly expensive to recruit and train new staff members. A2Z Pte Ltd decides to implement a matching corporate pension providing their employees with matching retirement savings contributions. Employees are able to save up to 5% of their monthly income which will be matched by their employer. They are able to save more than 5% but their employer will only match up to this level. A2Z Pte Ltd realises that this 5% matching contribution will not only increase retention, but will also lead to greater attraction to new roles with the company. Over 5 years we have continued to monitor the results of the company’s newly implemented corporate pension plan. We have seen the staff turnover rate fall from 17% to 13%, a significant drop from the previous rate, as well as general attitude towards the job and staff morale improving as worries about retirement adequacy are significantly reduced. Click on the buttons below to arrange a time to meet with Australian Expatriate Group and discover how a corporate pension can help you to achieve your business goals.